Find beauty in these remote farmlands and towns. What is it about old barns? We adore these timber-frame structures built to shelter livestock, farming equipment, grain and hay. As much art as architecture, each barn has a story about the struggles and triumphs of farming and ranching in Eastern Oregon. 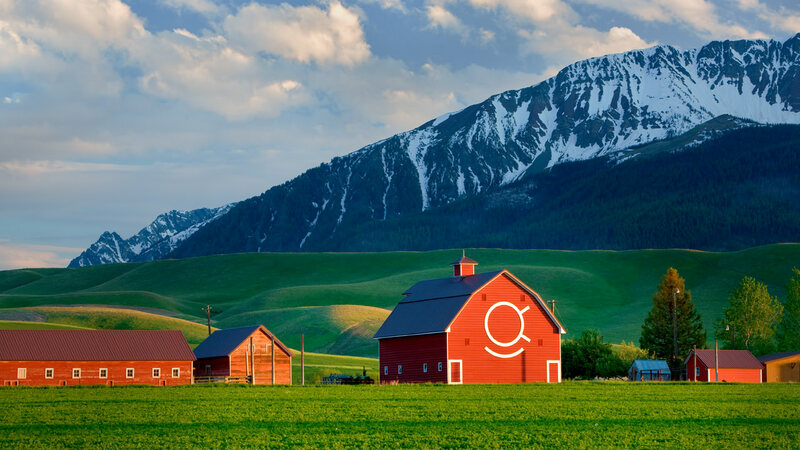 The brand-new, self-guided Wallowa Barn Tour in this remote northeastern corner of the state invites roadtrippers, photographers, cyclists and history buffs to experience the living history of this region through 31 beautiful barns. Along the way, you’ll find small towns, glacially carved landscapes and idyllic spots to slake your hunger and thirst. It’s a tour for all seasons; only the settings shift from summer’s vibrant greens to the ambers and golds of early fall, with a possible dusting of snow later in the year (so check road conditions before you go). Keep in mind that all of these barns are private property, many of them working ranches, so this is a “drive by” experience only. 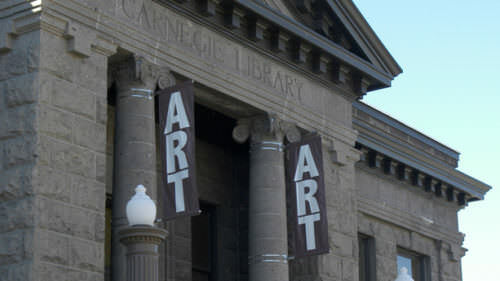 Here’s a sampling of the sites you may find along the way. Start your route outside of Lostine on a stretch of Highway 82, between Wallowa and Enterprise, where you’ll find half a dozen classic barns — some sitting right on the roadside. Travel through farmland, where livestock loll in the grasses and raptors rise off fence posts. A short drive off the highway rewards you with two picture-postcard barns nearly side by side: the white Pfeaster dairy barn, circa 1940, and the 1920s-era red barn at Chianne Cattle Ranch. Cross the highway to travel a snaking gravel road to the striking Harmon Barn, a century farm, officially recognized as being continuously owned by a single family for 100 years or more. 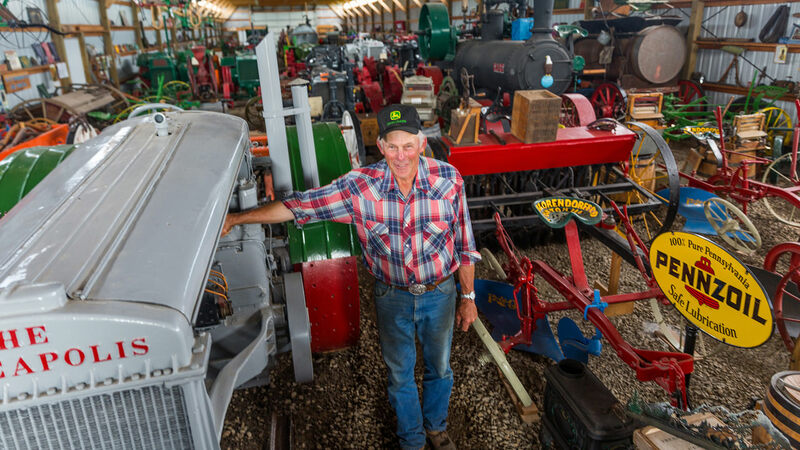 Looping back to Enterprise, you’ll head into the hills to Sunrise Iron, a must-see museum of restored antique tractors and other farming relics curated by artist and farmer Erl McLaughlin (free; call 541-263-0755 to reserve a tour). Take in several more barns, like the 1900s-era Mawhin Barn and ranch, and the stately Wade House & Barn (1898) on your way to Terminal Gravity Brewing for craft beers and hearty burgers under the aspens. Clusters of barns between Enterprise and Joseph let you choose your route while getting you off the beaten track. Kick off your tour with breakfast (or lunch) at the Red Rooster in Enterprise, a favorite locals’ spot. Then head toward Joseph via back roads where every barn, including the photographer’s-favorite Eggleson Barn (1910), is framed with a mountain view. Travel farther south on country lanes through broad farmlands punctuated by pristine barns from the 1910s, 1920s and 30s, and the Knapper Barn dairy dating from 1903. Two iconic barns are just a bit farther: the Brennan Barn (1933), notable for the white brand on its frontside belonging to movie star Walter Brennan, and the Octagon Barn (1906), marked with crossed sabers over the door. 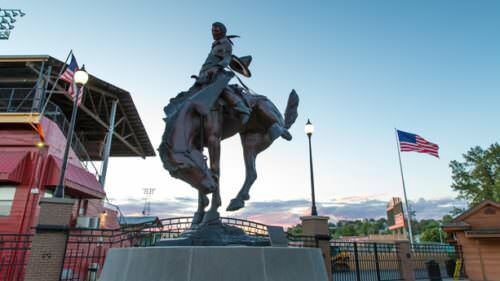 With ample daylight to backtrack to downtown Joseph, poke into Simply Sandy’s for ranch-themed home and garden “finds,” and Kelly’s Gallery & Barn Boutique for western fine arts — one of many galleries in town. Don’t miss the fruit cordials and award-winning rye whiskey produced by the farmer who grows the grain at Stein Distillery. Next door is East Fork Brewery, with outdoor seating for lunch or dinner sourced from local ingredients. This tour section is the farthest afield, so stop by Ruby Peak Naturals in Enterprise to stock up on local snacks like BGood Bars, artisan chocolate energy bars, and Carman Ranch grass-fed beef jerky. Your first stop has no barn in sight, but the Joseph Canyon Overlook offers jaw-dropping views (plus, public restrooms). Thirty five miles north, Flora is a ghost town now, but imagine the bustling community more than 100 years ago that built its giant, two-story school house. This high plateau offers bookend views of the Blue Mountains and the Wallowas, plus two one-room schoolhouses amidst the wheat fields. The 1910 Arko School sits across the road from Bill Baker Round Barn (1904), moved to this panoramic site in 2006 and restored. A treasure awaits hardy adventurers who drive the 6.5 miles on this steep-grade dirt road beyond the Grande Ronde River to the gothic-style Richman Barn (1910), complete with a silo. Nearby, you can take in canyon views while enjoying a bite on the deck at the RimRock Inn (call ahead for dinner reservations). 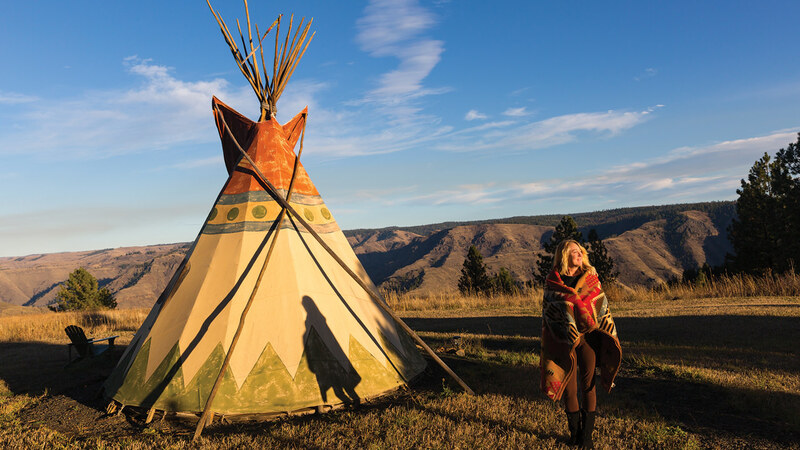 The inn also offers deluxe teepee lodging on the edge of Joseph Canyon. 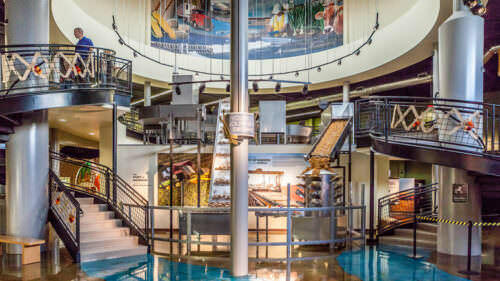 When you go: The Josephy Center for Arts & Culture in Joseph features a barn tour exhibit with paintings and photographs by area artists (opening October 6, 2018). Find a variety of lodgings for your stay directly on the barn route, including Barking Mad Farm, a pet- and bike-friendly bed-and-breakfast; and Arrowhead Ranch Cabins, with two 1890s converted bunkhouses, located midway between Joseph and Enterprise. Make sure to fuel up your car, and take the trip in a vehicle suited for driving on gravel roads. Know that all of the barns on the tour are on private property and working ranches, so please be respectful and expect farm equipment and even cattle in the roadways at times. Also, don’t forget to wave! To request a Wallowa Barn Tour map, contact the Wallowa County Chamber of Commerce at (800) 585-4121, online, or pick-up a map in-person at 309 S. River Street in Enterprise.